Anyone who has ever been to Marco Island will testify to its astonishing allure. Its location facing onto the Gulf of Mexico ensures clear, turquoise waters and miles of unspoiled white sand beaches under the warming glare of a tropical sun. A picture of paradise it certainly is, but of all the places on the island, Hideaway Beach is hailed as the most perfect. The good news for those of you who have already fallen in love with the area is that there are always Hideaway Beach homes for sale. The only real question is which one you fall for first. Of course, when buying Marco Island homes, there are some serious considerations to take on board, not least how to buy the highest quality for the best possible price. But what are the property options available in this highly desirable corner of Marco Island? Hideaway Beach is arguably the most desirable location on the island, though everyone has their favorite corner. 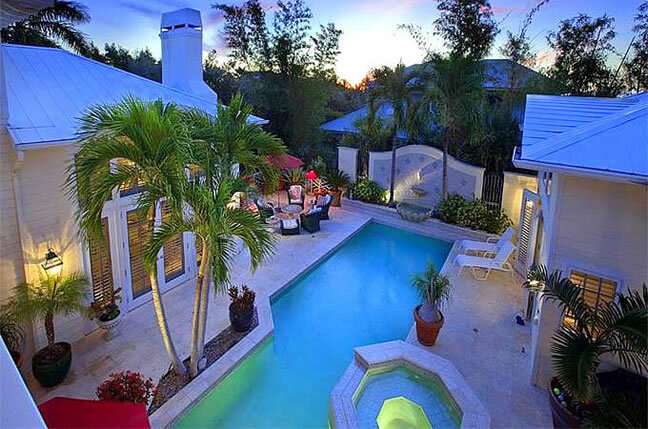 What is certainly true is that, when buying Marco Island homes, it is difficult not to be impressed by what the area has to offer. The selection of Hideaway Beach homes for sale is extensive, ranging from 3-bedroom family houses over 2,000 sq ft, set in lush woodland, for around $500,000 to truly magnificent multi-million dollar villas, palatial in scale at more than 5,000 sq ft, often just a few feet from the pristine beach itself. For many who may be considering buying Marco Island homes, the option of property further inland is equally appealing. Family houses with multiple terraces, private pools, superb ocean and treetop views, and the charm of Old Florida themes can also be found. And there is the added security and privacy that a gated community, like Hideaway Beach provides. Of course, like much of Marco Island, there is a wide range of condominiums and multi-family complexes, especially along the narrow peninsula that divides the northern shore of Collier Bay from the Gulf of Mexico itself. But remember that by choosing from amongst the Hideaway Beach homes for sale, you choose a home that blends the scenic with the serenity of a wooded sanctuary, all just a short distance from the beach. What Makes Hideaway Beach Homes Special? It’s not just the quality of the Hideaway Beach Homes for sale that make this corner of the island so irresistible, but the lifestyle that comes with it. The area covers some 300 acres, but half of that has been set aside for conservation. The result is a tantalizing mix of luxury and nature that makes Hideaway Beach something extra-special. The distinctive Tigertail Beach is a birdwatchers heaven, while the greatest concentration Florida Live Oak are to be found in the wooded areas, through which you can stroll within earshot of the soothing waves. Consider also its 2 miles of white sand beach, and its access to the superb restaurants and excellent recreational facilities of the illustrious Hideaway Beach Club, and it’s easy to see why looking at Hideaway Beach homes for sale is more than just looking at homes.